Our ‘Pick Three’ this week comes from our Effortless Style Team! We’ve been getting lots of questions lately from clients on our thoughts on Amazon selling clothing and accessories, so we did some digging to see how things look over there! We found some super cute things and are excited to share them with you…. And even put together a super cute look! What’s better than two day delivery on a fun new piece (or three) to spruce up your closet?!?! We are loving this basic black dress! Wear it alone, or throw on a denim jacket. Pair it with booties or go casual with slip on sneakers or flat sandals. Keep it casual with minimal accessories or dress it up with a few bangles and some statement earrings. This dress is truly such a great versatile piece, and bonus! It also comes in a charcoal grey color! Next on our list of Amazon favorites is this fun fedora hat! We love the look of this hat. Pair it with a simple dress like the above, or keep it super casual paired with a basic tee and a pair of jeans. This also comes in several colors. The black, the grey and the olive are our favorites on this fun piece! This summer sandal is up there on our list. It’s a versatile sandal that you can wear into the fall months. 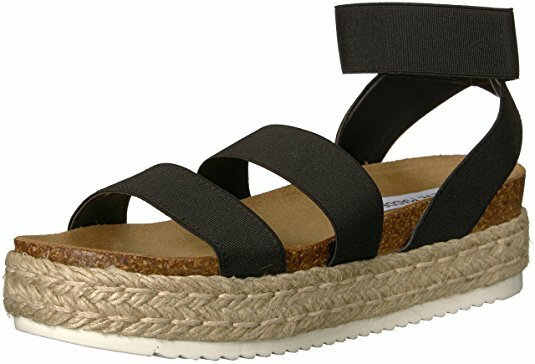 We love the idea of pairing it with a dress (like the above), but it’s also a great sandal to wear with jeans or shorts. Think oversized sweater in the fall months paired with a great pair of boyfriends jeans and this sandal! This shoe also comes in a variety of colors. The black is definitely our favorite, but the blush color comes in at a close second.